Located at the intersection of US 19 and 55A, the owners of Maria’s Dixie Nut house have been serving up boiled peanuts for 34 years. They started at a roadside stand and eventually moved into the building you see today. They have green peanuts from May-October, and they get them from local sources whenever possible. The Jumbo peanuts are definitely worth the stop, as you won’t see these at most roadside stands. They’re about twice the size of normal peanuts, and are sure to delight young children. 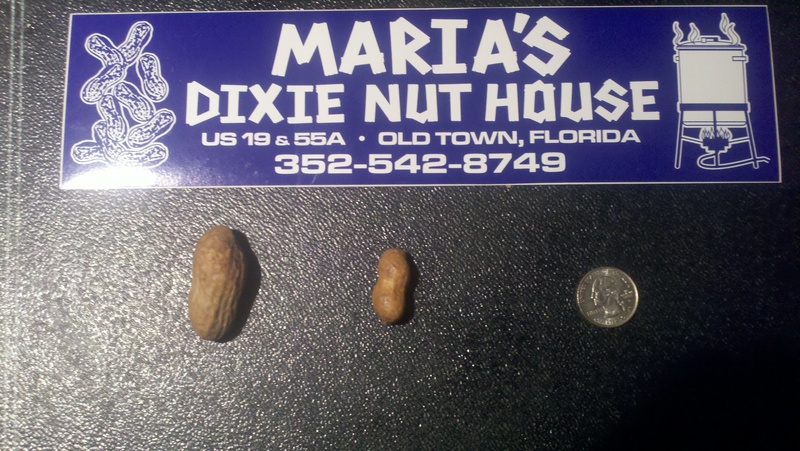 Aside from peanuts, Maria’s also offers live bait for those on their way to a fishing trip at nearby Steinhatchee.